I know they offered the role to at least one desi actress (Samantha Ruth Prabhu) who couldn't take it due to scheduling issues. It's quite possible that they shopped it around to the usual female suspects on the Tollywood/Kollywood circuit and most of them had commitments that wouldn't work with Shankar's long-drawn-out production schedules and Vikram's perfectionism (or felt that being tied down to this project for so long wouldn't give them enough prestige to offset the lost income from ordinary eyecandy roles in ordinary masalas). ^ True, there are definitely many other factors contributing to white-girl casting than just "ooh, white skin model, pretty!!". I hadn't thought of that. In any case they're always just there to look pretty anyways so I don't suppose it matters who takes the role. Yeah, "stunningly attractive" and "able to convey romantic interest in a male lead who's not necessarily Vikram or Vijay levels of attractive" seem to be the main requirements for a Shankar heroine-if anything, I would gladly have swapped Shriya Saran out of Sivaji and into Anniyan because the self-invented mythology or artistic priorities of the latter seems to call more powerfully for a Woman On A Pedestal Who Inspires Chivalric Feelings than Sivaji does. So far it's looking like this one* is in the same vein, plus it's rumored to be set in the modeling world, so a glamorous vaguely foreign woman who barely speaks the local language may not be that out of place. *Man, between Shankar's "I" and Neeraj Pandey's "Baby", there's a lot of movies right now that are embarrassing/slightly confusing to call by name. Fascinating stuff, Prem Rogue, thank you for sharing! This is the song that the "weightlift girl" and "transformable motorbike girl" snippets are from, but somehow it feels less cracktastic than Shankar's norm inspite of that. It appears to be satirizing the objectification of women rather than playing it straight, but some may find the imagery involved uncomfortable in either case, so, be forewarned. So maybe beast is just a fantasy. Obviously lips out of sync because they've dubbed in Hindi. I kind of think the Beastlike character is a song fantasy, but the storyline with the Quasimodo lookalike will have general B&B references too. Thanks for posting the whole song-all i had seen were brief teasers from it. And it's even a pretty good song. Reviews are out. Quite a few reviewers (among them Rangan) are saying that the visuals are great but the story lets the film down. Too predictable, no surprises - lo-o-ong. 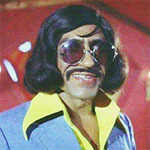 "Vikram all dressed up but nowhere to go." I will see for myself this evening. Where is that river? Does anyone here know? Saw it. Liked it. Liked the fact that it was real masala - not 'fake'/send-up masala. Didn't mind the length because the chronological shifts upped the pace. Fabulous visuals. The romance was well developed... (I like masala films that are quite romantic). Story quite thin but some bits still had me guessing...withheld info. shown later in flashback. Enjoyable.